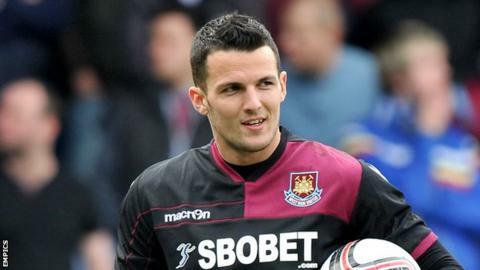 Premier League-bound West Ham United have signed goalkeeper Stephen Henderson from Portsmouth for an undisclosed fee. The 24-year-old has signed a three-year deal with the Upton Park outfit. The former Republic of Ireland under-21 international joined the Hammers on loan in March but did not make any first team appearances. Henderson made 27 appearances in all competitions for Pompey after joining from Bristol City last summer.